The minor league rosters are (nearly) set, which makes it about time to talk about the 2012 outlook for each of the Rays full season affiliations. Therefore, I've graded each roster part (rotation, bullpen, catching, infield, outfield) on a scale from A (best) to F (worst). 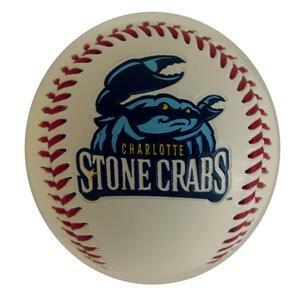 Third in-line are the Charlotte Stone Crabs (check our depth chart for the current roster). Feel free to share your thoughts about the outlook in the comment section. I'm very much looking forward to the '12 Stone Crabs rotation. Enny Romero is the most intriguing pitching prospect in full season ball. Albert Suarez and Wilking Rodriguez may finally be injury-free and (again) ready to produce according to their talent levels. Braulio Lara has a ton of potential and Grayson Garvin is the most polished college pitcher the Rays have drafted since David Price. And when you consider that there is no place for C.J. Riefenhauser (2.31 ERA, 6.8 H/9, 8.8 K/9, 2.2 BB/9 in '11) in the opening-day rotation, you know that there is depth as well. Chris Rearick, Jimmy Patterson, Eliazer Suero (better suited for the pen?) and Nate Garcia will share the duties in high-leverage situations. To see how those pitchers handle the move to the FSL will be very exciting. George Jensen, C.J. Riefenhauser and Victor Mateo add exceptional depth to the rotation and are very much capable of pitching more than one inning every other day. Pending an assignment of Lenny Linsky to Port Charlotte after his DL-stint, this group might clearly become above average. The solid minor-league backups Keith Castillo and Mayobanex Acosta will share duties behind Luke Bailey. Bailey was even projected as a mid-1st round pick before undergoing TJS in his draft year. Since then, he firstly was slow to come back and he secondly didn't do that well after coming back. Nevertheless, I still believe in him and hope he breaks out in '12. The Stone Crabs infield group is a very intriguing one. Led by Derek Dietrich and Robby Price, it also posts solid first baseman Phil Wunderlich, the very young and exciting Hector Guevara as well as the '11 4th round pick Riccio Torrez. While I don't project the '12 FSL-league hitter of the year coming out of this group, I could see at least league average production by everyone of those players. Therefore they grade out as above average. Fastest outfield in the minors? Ty Morrison, Kevin Kiermaier, Cody Rogers and '12 1st round pick Mikie Mahtook will provide lots of speed in the field and on the basepaths for the Stone Crabs. In addition to that, at least Morrison and Rogers, but especially Mahtook have considerable potential with the bat as well. Mahtook projects as a can-do-it-all outfielder (20 HR, 20 SB, solid approach) in the majors. With an above average rotation and (nearly)-as-good-as-hoped performances by Mikie Mahtook, Derek Dietrich and Luke Bailey I can see the '12 Stone Crabs contending for the FSL-title. The pitching staff has enough depth while the lineup boasts exceptional speed paired with solid power.